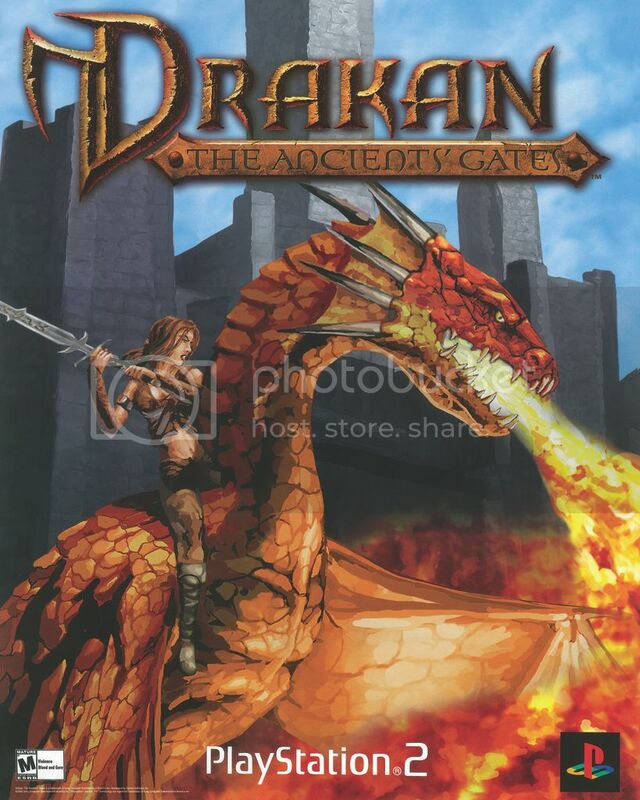 While browsing Ebay yet again, I found someone selling a two side Drakan: The Ancients' Gates poster meant to be hung on a store window that has the American cover art on one side and the Dragon Mother art on the other with some tape damage near the bottom. 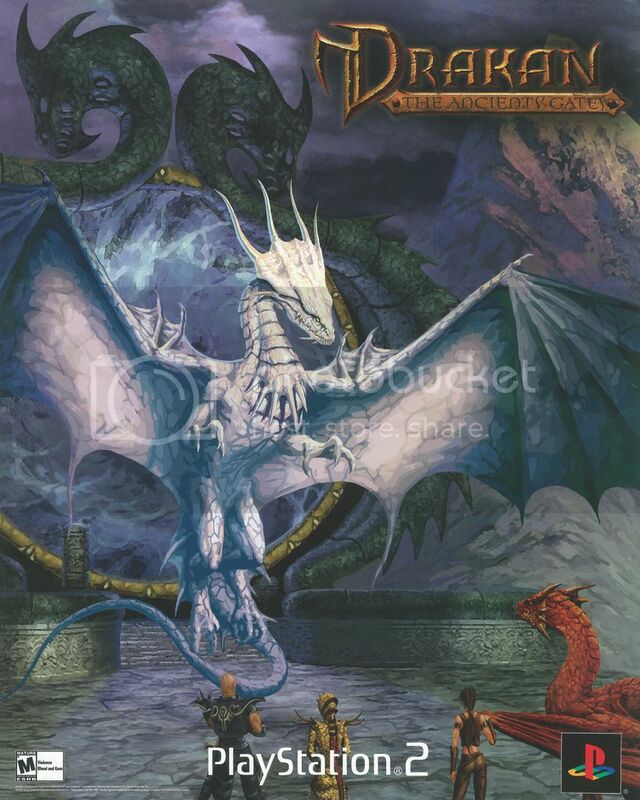 What made me excited about this find is that aside from scans of the cover sleeve, the art of Rynn on Arokh like this was never released online and the Dragon Mother work (along side the other art used in the beginning and end of book narration of TAG) only had a small JPEG released, so I asked my cousin to scan and fix up the images and she did an awesome job fixing up the tape damage. Here they are in their 20X16in size. Enjoy! Nice find on a good looking poster. It's too bad the closing credits didn't have a scene with the Mother Dragon and her brood emerging from the Mother Gate. It would have made the ending so much better. Great find - I think this was never released online as that is how Arokh originally looked in the game but they changed it later to the orange skin and body style. They still used the artwork for the game box and in game cutscenes though; maybe because they didn't have time to do more art before release hence whey the EU box art looks like a enhanced game screenshot with the 'new' Arokh. I don't much care for the European cover since it's essentially stock art, even though Rynn and Arokh are rendered beautifully for the time. The US cover looks like a painting which looks like it took more effort. Granted, the US cover doesn't tell you as much about what to expect as the EU cover. Either way, more things to hang on my wall; especially the Dragon Mother one, the print for that one is beautiful.